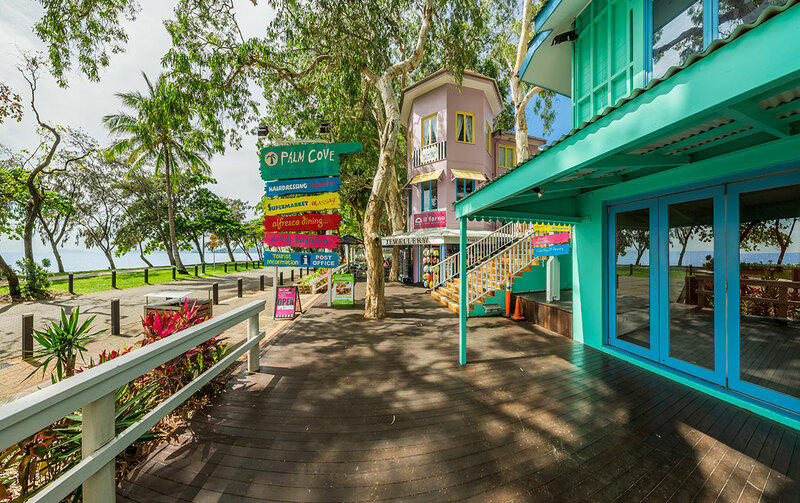 Palm Cove is a tropical paradise dotted with outdoor cafes, restaurants, bars, boutique shops and convenience stores. 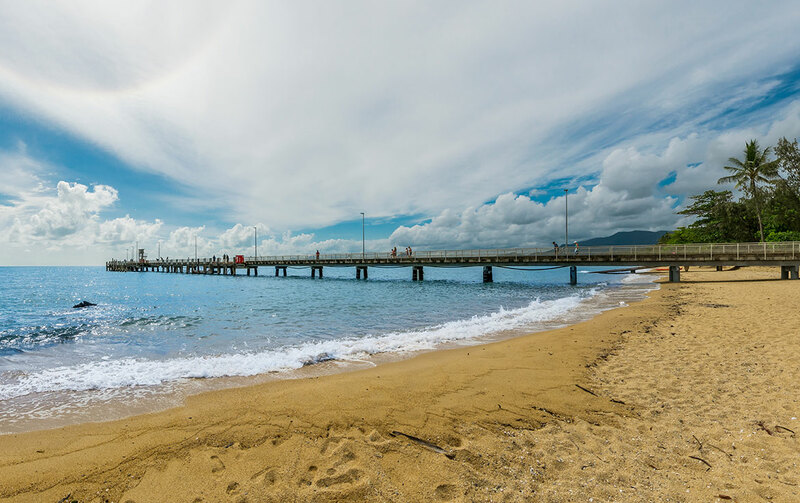 Located between Cairns and Port Douglas and near the Great Barrier Reef. 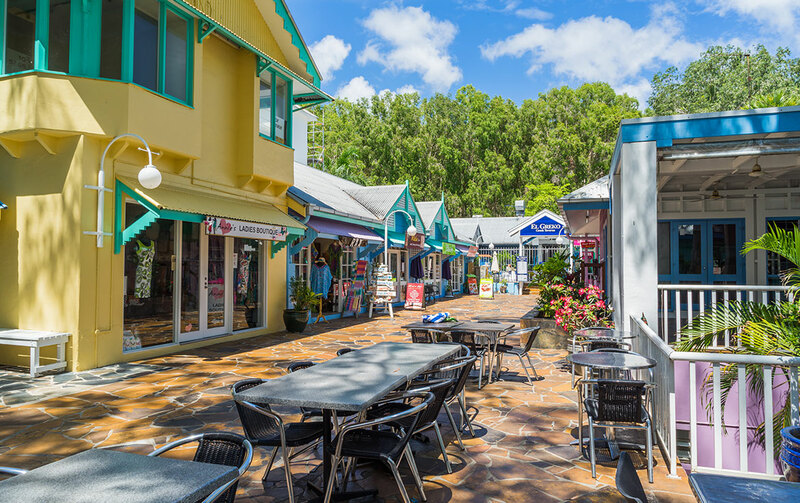 Palm Cove is a tropical paradise dotted with outdoor cafes, restaurants, bars, boutique shops and convenience stores. 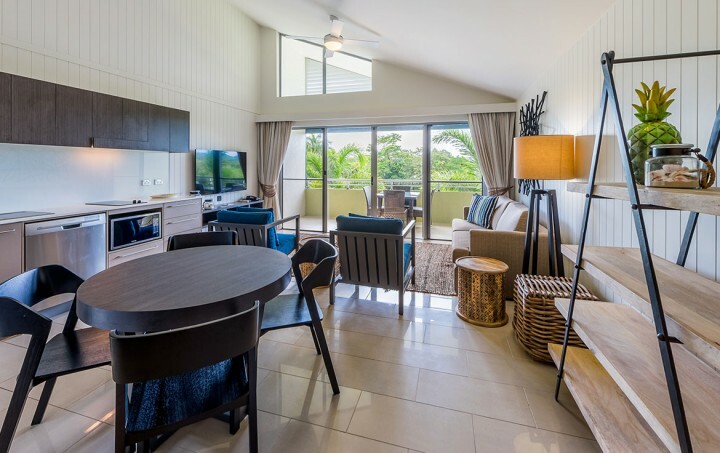 The Sebel Palm Cove Coral Coast is located between Cairns and Port Douglas, the Club apartments are located just a short stroll to a tropical palm-fringed beach. 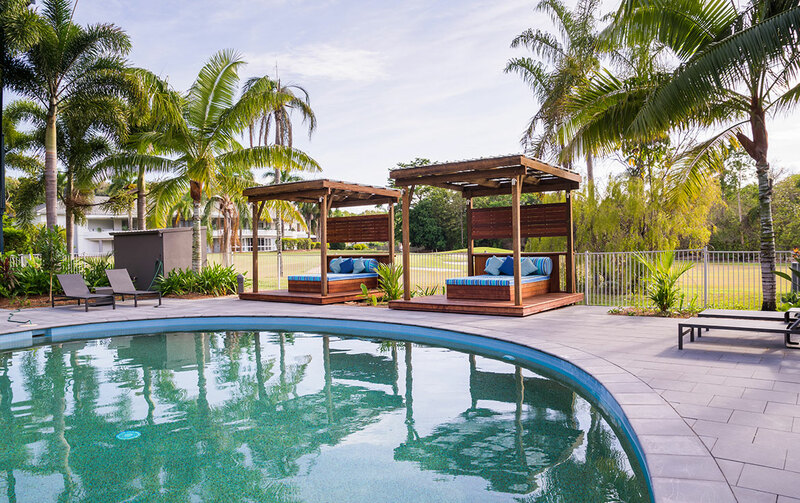 The unspoilt paradise lies parallel to the beautiful Great Barrier Reef and is within easy reach of the renowned Daintree Rainforest and tropical Atherton Tablelands. After hours check-in: For after hours key collection please call +61 7 4059 8000 during 8am until 6pm to organise collection. Car Parking: Complimentary resort car park is available. Internet: NBN Wifi is available in all rooms (1GB per 24hours, per device), this is a complimentary service. 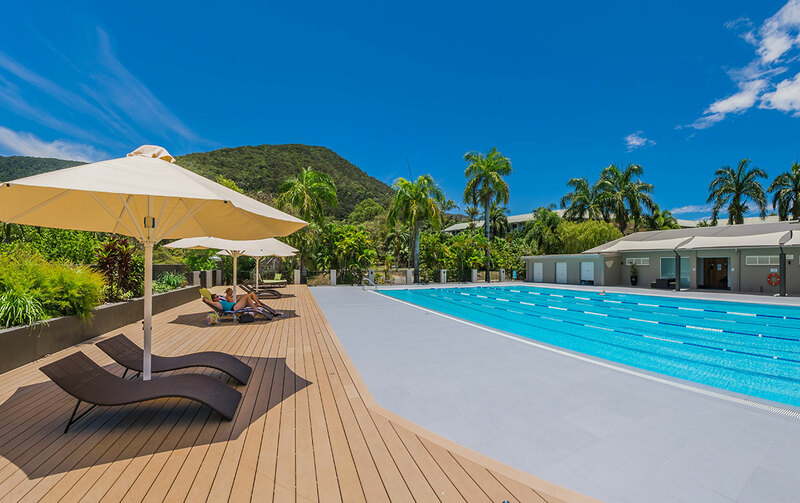 Resort Facilities: There is one outdoor swimming pool at the Resort however extra facilities are available at the Oceans Edge Health Club including a 25m lap pool, gymnasium and sauna. 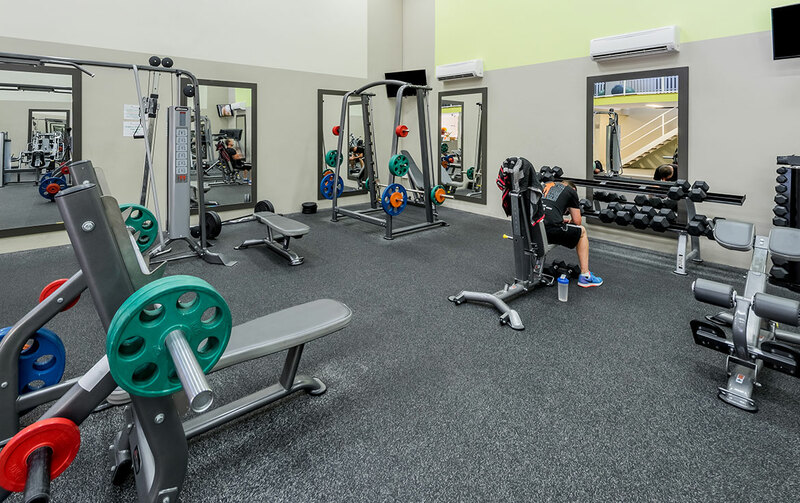 Fitness classes are available for an additional costs. Reception can assist with all tour bookings and arrange airport transfers. 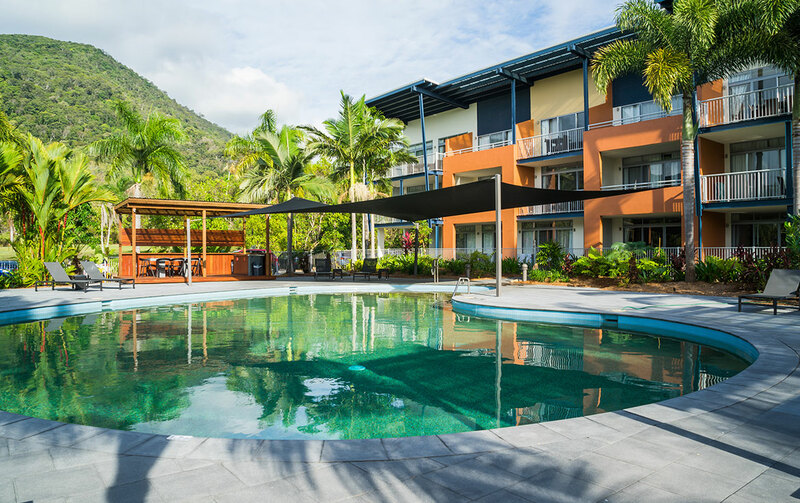 The Sebel Palm Cove Coral Coast is approximately 30 minutes drive from Cairns and 40 minutes from Port Douglas. 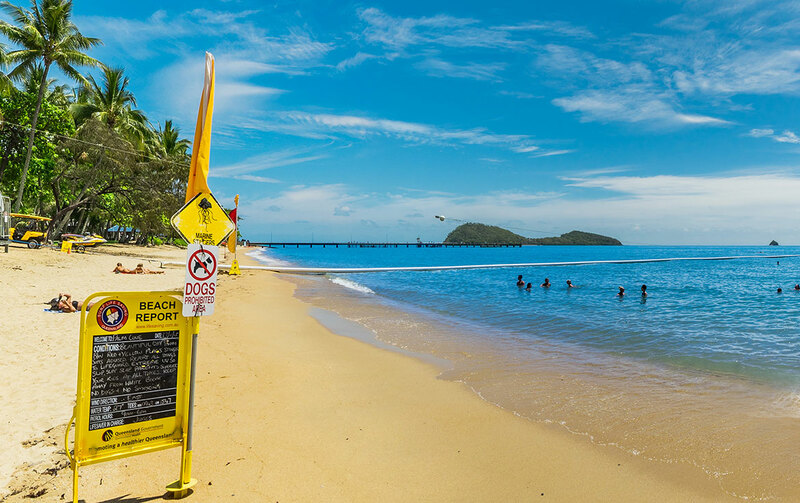 FROM CAIRNS: Travel North on Captain Cook Highway to Palm Cove – Approximately 30 mins drive. Turn right into Warren Street. Follow this road around and you then turn left into Cedar Road. Continue on this road towards the beach until you see the sign on the left for Ocean Edge and the Hotel Grand Chancellor. Turn left here – this is Coral Coast Drive. Continue up this street until the roundabout. This is where you turn left (sign says The Sebel Accor Vacation Apartments) and travel past the Ocean’s Edge Health Club This road takes you into the resort car park and reception area. (One king bed or king split bed). 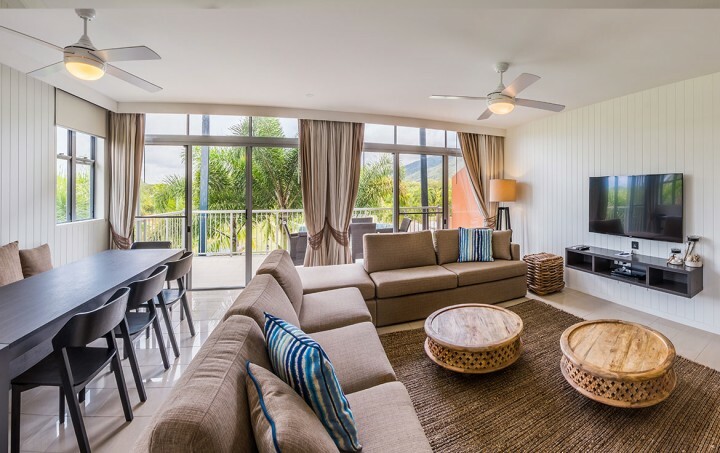 Kitchenette facilities include hotplates, convection microwave, Bathroom (shower only), half size fridge and dish drawer. Disabled rooms available (subject to availability). (1 king and 1 fold out sofa bed – sofa bed suitable for children only). 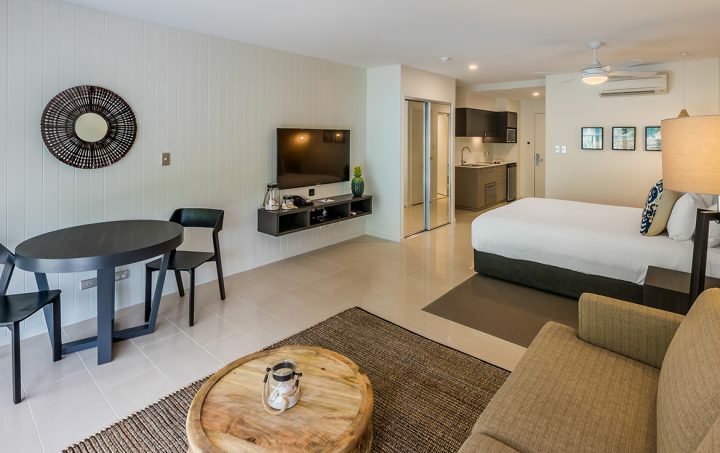 Microwave and hotplate (no oven) and laundry facilities, bathroom has shower and bath, private balcony, air-conditioned (reverse cycle), DVD/stereo combo, Foxtel & VOD, cots available on request (charges apply), highchairs available on request (charges apply), no rollaways available. 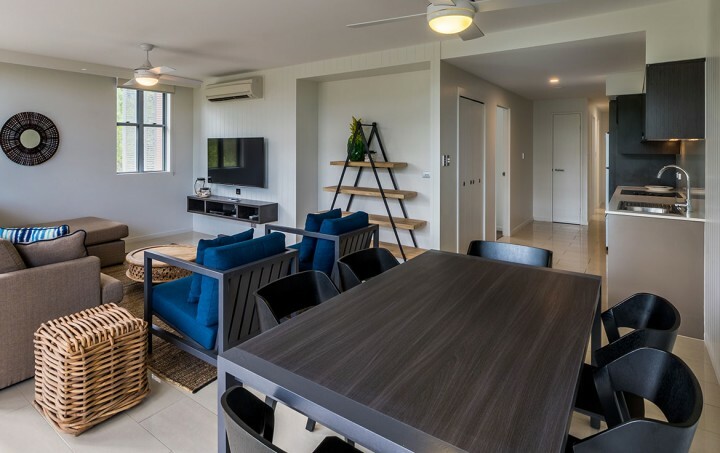 Full kitchen and laundry, ensuite in master bedroom, main bathroom (separate shower and bath), private balcony, air-conditioned (reverse cycle), DVD/stereo combo, Foxtel and VOD, cots available on request (charges apply), highchairs available on request (charges apply), no rollaways available.